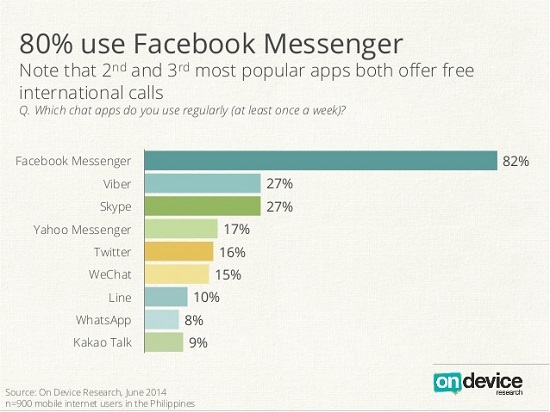 Messaging apps are a hit in Southeast Asia. They are so big that the likes of LINE and WeChat have offices in the region. Each wants to gain a foothold in a smartphone-rich region and they are doing everything, from TV ads to Media partnerships, to increase their market share. In the Philippines, it looks like partnerships with the giant telcos is the way to go. South Korea-based Kakao Talk is trying to get more users by making the service free on ABS-CBNmobile, the newest telco player in the country. 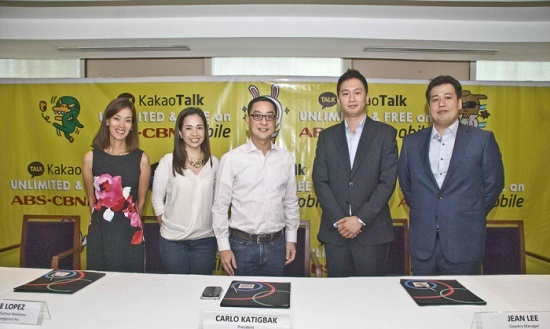 New telco player ABS-CBNmobile partners with messaging app Kakao Talk to offer new content to its mobile users. Under this partnership, ABS-CBN subcribers can use Kakao Talk to send messages, make calls, and even share videos and photos using the app. The offer will start from July 7 up to October 10, 2014. The best thing about this offer? It is FREE. Yes, you can do all these on the Kakao App without incurring any data charges. To put it bluntly, you do not have to worry about data charges because there won’t be any. You can use the app without WiFi or mobile data. You really cannot escape their advertisements. Their endorsers include several artists from ABS-CBN’s talent pool, as well as the Korean group Big Bang. Maybe, since Kakao already has an existing agreement with ABS-CBN by signing its talents as endorsers of their messaging app, the partnership with the media network’s telco arm just makes a lot of sense. Also, they probably realized how big KPop’s influence in Filipino pop culture, so it made sense to feature advertisements with Big Bang – on TV. ABS-CBNmobile is a new telco player in the Philippines, but it is backed up by 2 of the country’s industry leaders. The telco is actually a joint venture between the media giant ABS-CBN and local telco Globe. Its main position in the market is that it offers exclusive ABS-CBN content to its subscribers such as behind the scenes access to its television shows. First launched in November 2013, the new telco aims to get 1 million subscribers by 2014 and 2 million by 2015. Impressive goals! Messaging apps like Kakao Talk and LINE are playing catch up in the Philippines. Messaging apps are slowly getting a foothold in the Philippines. However, in the research done by the firm On Device, everyone is playing catch-up to Facebook messenger, which has a staggering 82% lead ahead of the likes of LINE and Skype. Also according to the research, only 10% are using Kakao Talk, behind LINE and even Twitter, which is primarily used as a microblogging tool. It is definitely interesting if the Korean-based messaging app will gain more users through this partnership with ABS-CBNmobile.